Every Saturday morning, a steady stream of Chinese and Vietnamese patients line up at the Paul Hom Asian Clinic in Sacramento, Calif. Most of them speak little to no English. Patient assistance director Danny Tao says people come here to get free medical consultations and drug prescriptions. But, he says that when patients take those prescriptions to be filled, they don’t understand the instructions on the label. “They go pick them up, and we don’t exactly know if they’re taking it or not — or if they know how to take it,” Tao said. Tao says drug labels at most pharmacies in California are printed only in English. That puts patients in danger of making any number of errors — taking too much medication or not enough, taking it at the wrong time of day or with the wrong food. Such mistakes can cause serious harm or even death. Tao says that for the drugs his clinic supplies directly, all have a bilingual label. This week California’s Board of Pharmacy will discuss new regulations that would require all pharmacies in California to provide translated labels on prescription drug bottles. Statewide, 44 percent of Californians speak a language other than English at home. New York approved a similar rule last year to make it easier for non-English speakers to take their medications properly and avoid costly mistakes. But the California board’s executive officer Virginia Herold says the move is very controversial. 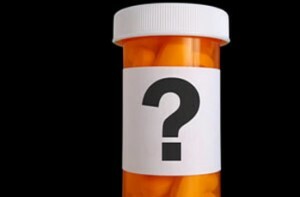 For starters, there is a concern that bilingual labels would mean larger bottles of pills to fit all the text. Patients, she says, don’t like larger bottles. “They decant the drug out of the large container, put it in a baggie or someplace else,” Herold said. “Now, the instructions on how to take it have been separated,” defeating the purpose of the new labels. Pharmacists don’t like the proposal because they say it opens them to liability if there’s a mistake in the translation. Brian Warren is with the California Pharmacists Association. “If the label is translated into Russian and there’s an error, and I’m a pharmacist that does not speak Russian, I cannot verify that that error exists,” Warren said. He adds that the labels could increase the cost of malpractice insurance. “It’s an expense that will ultimately make its way down to consumers, and like all other health care costs, will eventually result in higher premiums,” Warren said. At present, the state’s board of pharmacy includes on its website translations of basic instructions such as “take one pill at bedtime” in five languages: Chinese, Russian, Spanish, Korean, and Vietnamese. Proponents of translating labels say that concerns about the change are outweighed by the problems patients who speak limited English face under the status quo. The discussions are in the earliest stages, and if new regulations go forward, many details need to be worked out, including how many languages are included and who would have responsibility for translation.